As a designated “special city” in the DPRK, Rason holds strategic importance and significance for the country and offers visitors a unique and wonderful window into the country and its people. Located in the northeastern corner of the country near the borders of China and Russia, Rason is the first special economic zone designated by the government, established in the early 1990s to promote economic growth through foreign investment. Rason’s port, which has the benefit of being ice-free year round, has piers operated by China and Russia and gives the city strategic significance in the region and for the country. Rason’s close proximity to China and Russia and its status as the first special economic zone give the city a special flavor distinct from any other area of the country. With significant foreign investments in the region and many foreigners traveling in and out for both business and leisure, the city has a certain openness truly unique to the country while still maintaining and offering an authentic window into life in the country. Tour guests to Rason are able to experience more meaningful interactions with everyday, local North Koreans and have more exposure to authentic, daily life. Only in Rason can visitors first visit a local bank and exchange foreign currency into local North Korean currency and then head to the main market in town to shop, haggle, and mingle among a sea of locals, a highlight for many tour guests. Visitors can also enjoy a bike ride along the coast – a Krahun exclusive – make kimchi or tofu the old-fashioned way with other locals, perform volunteer work planting rice or trees, spend time on our North Korean farm and help our local workers with their daily tasks, and visit other companies in the region. Of course, Rason also offers a multitude of other experiences, from local beaches, hikes, performances, local food, and much more. There are several ways to get to Rason. The most popular way is by road from Yanji, China. Yanji has an airport with daily connections to Beijing and Seoul. From Yanji, it’s a 2 hour drive to the China-DPRK border, making travel to Rason very simple. The other way is by rail from Russia. Guests can travel by train from Khasan, Russia to the DPRK over the Friendship railroad bridge, the only land connection between the two countries. From Khasan, visitors can travel to Vladivostok which also has an airport with connections to major cities nearby. Yanji is a vibrant and bustling city of more than 400,000 people, serving as an important commercial hub for the region and as a cultural center for China’s large ethnic Korean population. The urban downtown is thriving with shops, restaurants, food stalls, and night life, and the city has been going through rapid development and growth. Yanji’s major airport connects to every major city in China and also has daily flights to Incheon International Airport in South Korea, making travel to and from Yanji easy. In addition to air travel, Yanji is also accessible by bus and train in China. 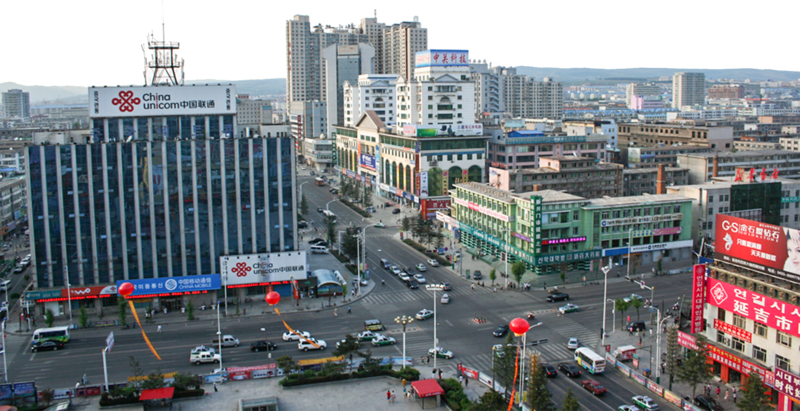 Yanji serves as the capital of the Yanbian Korean Autonomous Prefecture, designated as such due to the large number of ethnic Koreans living in the area. With millions of Koreans from the Korean peninsula immigrating to the region in the 19th and 20th centuries, Yanbian was upgraded to an ethnic autonomous prefecture in 1955. Presently, the ethnic Korean population accounts for a third to one half of Yanji, where the official languages are both Chinese and Korean.